Trying to do everything, you might work, raise a family, pay the bills, clean your home, all as a part of your daily life. 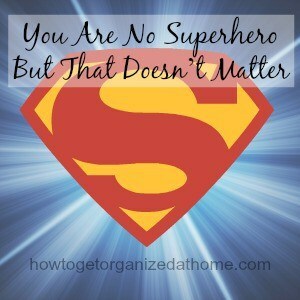 However, did you know you aren’t a superhero and no one will expect you to do everything perfectly? Often we are our own worst enemies, thinking we have to do it all or someone will judge our family or us and not in a good way. Nevertheless, who is to say that what we can do isn’t enough! That it is OK for us to say ‘no’ to the odd event or even when asked to help out at school. Don’t worry, I have tried this so often that sometimes I would wonder why I am always the one helping out, doing more than others, as well as bringing up my children. It wasn’t until years later that I realised that they said no, they didn’t have time. For me it wasn’t that easy, accepting that I could say no was a hard lesson to learn. I would end up working myself ragged trying to do everything perfectly and wondering why I was so tired and had no time left for me. Let’s all agree that superhero’s need to be left on the TV or in a comic, we are not capable of superhuman skills and we shouldn’t be trying to have them either. Learning to say ‘no’ is not easy, but when you are doing too much it is important to know when you already have too much on your plate and there just isn’t the time to do everything for everyone. The key tool that you have access to is your planner; this can tell you when you have too much scheduled in and there is just no way, you can do any more. It is your bible, it holds all the information that you need to live a productive day, while giving you the grace to have time for you too. After all, if you don’t look after yourself and put yourself first occasionally, then who is going to do everything you have said yes to when you are poorly. You will let people down including yourself and this certainly isn’t what any one wants. If you say yes too much you will not have the time to do everything and this can make you feel low, it can make you feel like you failed, that you weren’t good enough. It is putting too much in on one day or making your to do list an impossible mountain which you will fail, and constantly failing makes you feel bad and not good enough. It is possible to throw away the superhero image and take a stand, show the world who you are and put yourself at the top of the to-do list. Once you learn to start taking care of you, meeting your needs, by not taking on too much only then will you find the power that you have and the ability to succeed in life that is within your grasp. Don’t think that the most organized person is better than you; they too will have their struggles. It is learning to do enough, so that you can make progress on your goals, but not taking on so much where you become overwhelmed and unsure the direction you’re being pulled. Therefore, if you are doing too much and trying to be everyone’s superhero, it is time to stop and learn to say ‘no’ occasionally if only to keep your sanity. It’s hard to change when all you want to be is that superhero. 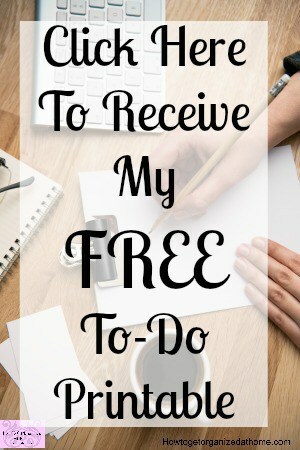 I used to time myself for each task and if I didn’t get it done within that limit I got really worked up. Then I somehow managed to become a little more relaxed about it. Now I am retired I am too relaxed about the housework! Are we still trying to do it all? When I had my first son in the 1990s, Supermom was all about having a full time career, a great social life and a perfect home, with a doting husband, 2.3 darling children and a dog, while of course looking perfect and working out at the gym three times a week. Don’t try to be Supermom. 🙂 Just be a super mom. Thank you for taking the time to comment 🙂 I agree with you totally! We don’t need to be a superhero, just be the best we can (and that depends on the day!). Thanks for the reminder and for sharing at Snickerdoodle. Hope to see you again soon!